54 Gay Mardi Gras Balls and counting! Click here for the Facebook Event. 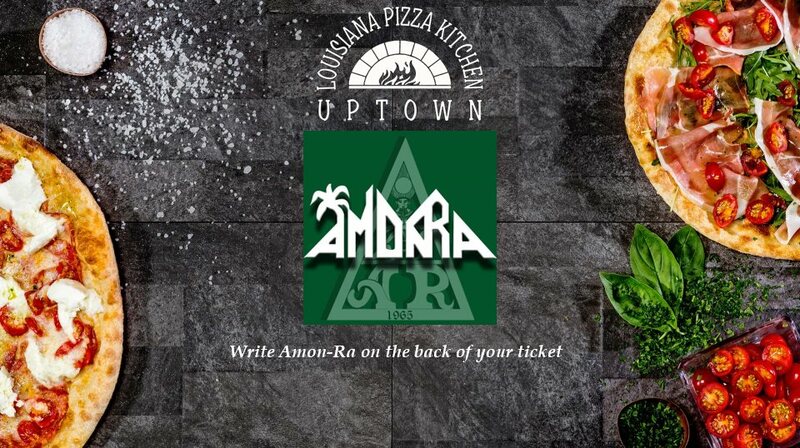 Write “Amon-Ra” on the back of your ticket and LPK Uptown will donate 25% of the bill back to the Krewe of Amon-Ra for any purchases made on November 20, including take-out and catering. Have a delicious Fresh Mozzarella Pizza or hearty Eggplant Parmesan and help the Krewe of Amon-Ra raise funds for our 54th Annual Ball! Check out the menu here!